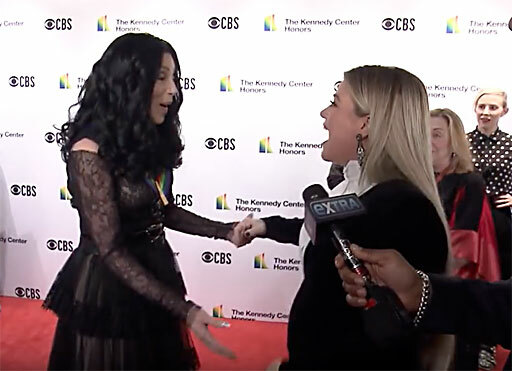 Kelly Clarkson found herself on the red carpet of the Kennedy Center Honors last night at the same time as honoree, Cher. While Clarkson was there to sing in honor of country superstar Reba McEntire, Clarkson was adorable in her fan-moment speaking to Extra's AJ Calloway. "I've never met her," she tells Calloway. Clarkson: "No, never. And don't do anything either - it'll make me so nervous I'll want to cry..."